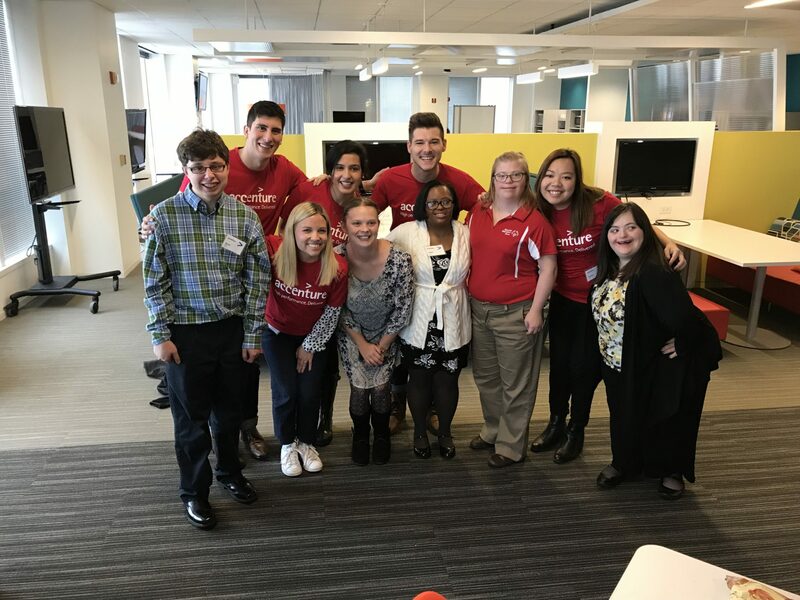 An important part of Athlete Leadership at Special Olympics Illinois is helping our athletes build on the confidence gained through sport, and to explore more opportunities for achievement in the community. An important part of what Accenture does, besides providing consulting services to some of the most powerful companies in the world, is to leverage their expertise and resources in preparing others for the workplace with a program called “Skills to Succeed”. 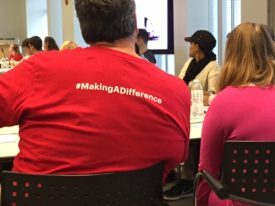 After learning about the Athlete Leadership Program, Brynne Miller of Accenture mobilized a group of eager coworkers to plan a day of professional development. “We’ve done events with SOILL that are sports related but I didn’tknow there was something we could do where we could parlay our corporate skills in a way to help people with disabilities”, said Brynne. On November 4, 2017, both organizations came together for a morning of learning and sharing. 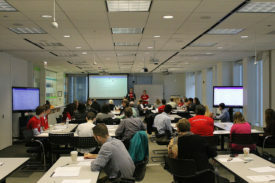 Accenture volunteers hosted athletes and parents at their Chicago Headquarters building for a workshop focused on identifying individual strengths and converting them into advantages in the job market. Participants worked through sessions on applying for jobs, interviewing skills and resume writing in a professional meeting environment. Athletes concentrated on understanding what prospective employers look for, and how to meet those expectations. 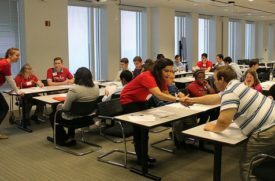 In breakout sessions, Accenture personnel conducted mock interviews with athletes while parents and caregivers had an opportunity to share success stories and job search tips. “One of the big learning moments today was working with the parents”, said Tom Stuckey of Mergers & Acquisitions, “teaching them how to talk to their children about how to get into the workforce was really rewarding”. At the end of the day, everyone gathered in the corporate café for pizza, pictures and thank yous. Randy Cottingham of the Accenture Resources Group in Canada and Western U.S., who is also a Special Olympics parent commented, “I think the timing is fantastic. The age of the athletes at today’s session is very interesting because they’re young adults and work is the logical next step.” Thank you to Accenture, for creating the opportunity for our families to experience a true corporate training session with such wonderful, dedicated workforce coaches, and for choosing to include! If your organization is interested in sharing knowledge, inspiration, and support with our athletes in a professional capacity, please contact Michelle Weiner, Director of Strategic Development, at 312-972-5616 or mweiner@soill.org. You will be amazed at what our athletes could teach you!